This question “how should a man’s clothing fit? 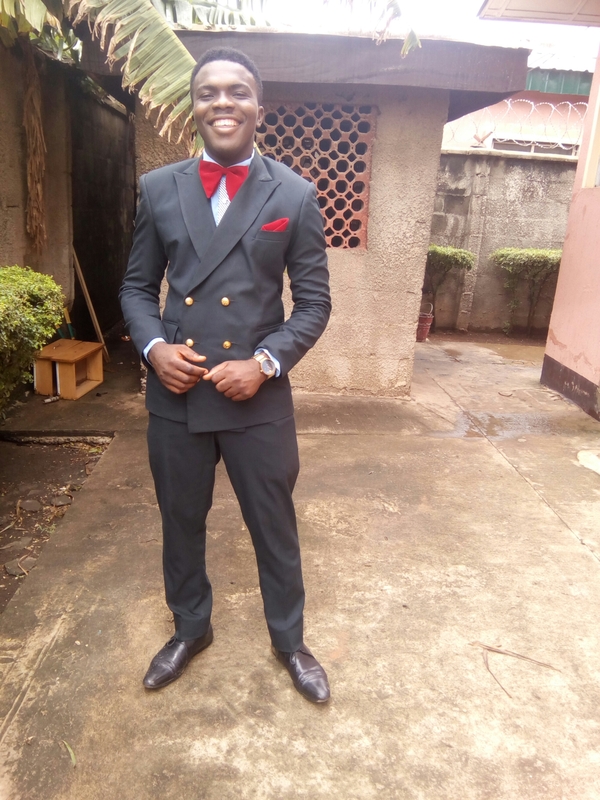 “is one that many do not have an answer to, simply because fashion these days, oh and our native attires mostly don’t encourage the fit of a proper man’s clothing (for instance the dress shirt). That been said do you remember my sins of style post? If you don’t read it now , well in the post I mentioned I will be explaning further on each aspect style sins in their specific posts. The first deadly sin of menswear and the most common is choosing poorly fitted garments. Most men buy suits and shirts that are between one and two sizes too large for them. Closely-fitted clothing are stifling and uncomfortable individuals even suffer for their style. The smooth, unbroken line of a well-fitted suit or shirt is the centerpiece of a well-dressed man’s appearance, and other efforts will be wasted without it. How, then, to determine when a garment fits? Note we would be discussing only the perfect fit of mens corporate wears. Your jacket should remain stationary, the fabric shouldn’t be tugged along with your motions, if your jacket spreads when you move the fit is too loose. 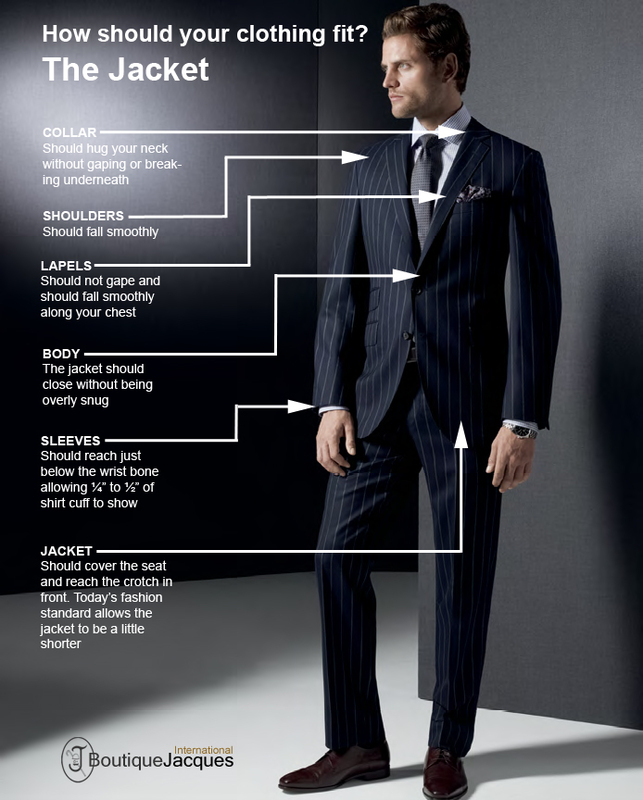 Venting has a high influence on the jacket it is a slit that runs upwards from the base of the jacket behind the suit. There are three types of jackets in respect to the vent : we Have the unvented jacket which usually gives a close fit but squeezes when you sit or put your hands in your pocket. The single vent is the most common one it allows easy movement if it fits properly. The double vented jackets are more comfortable, allows you to put your hands in your pockets with with. Lapels– another way to know if your jacket fits properly is from the lapel – the folded piece of fabric that covers the chest, to know if it fits look out that there is no gap between it and the shirt you have on. Length of jackets-the back of your jacket is usually longer, but it shouldn’t be too long. For the perfect fit the bottom of the jacket should cover the curve of the buttocks. Sleeve– the jacket sleeve should never cover your entire shirt sleeve but it should show a half inch cuff of the fabric reveling one button or your cuff link . Picture 👆my brother styled By yours truly Tamara. Unlike your jacket that hangs along the frame of your body and offers its own unique shape, a man’s dress shirt should be worn close to the body as possible regardless of your body shape. Remember comfort is the first test of fit, but then if a shirt balloons at the waist when tucked it is too loose, like your jacket and shirt that pinches up or bunches up is too tight. 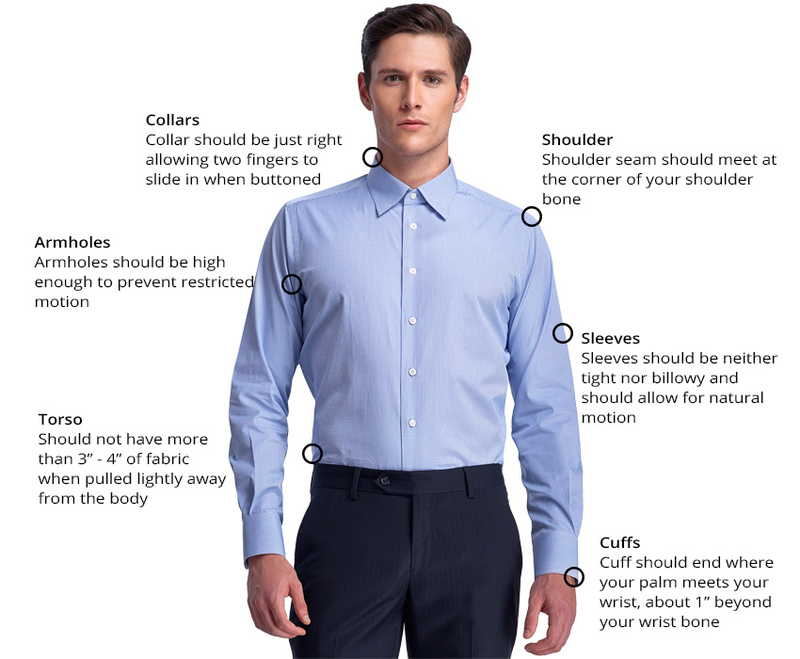 For shirt collar the two sides should meet neatly at the throat without choking you and note there should be basically no space, just comfortable enough for you to move your neck freely. The collar should extend a half-inch above the collar of a suit jacket or sportcoat. The cuffs of the sleeve should reach all the way over the joining of the hand and wrist, easily found by the two large knobs of bone on either side of it. At the bottom, the shirt should fall four to six inches past the waistband of the trousers, giving enough extra cloth for the shirt to be tucked in. Many men struggle with finding a good trouser fit in the dressing-room, and this is generally because they are attempting to wear the pants too low on their body. Dress pants are cut to be worn at the waist where they can fall smoothly past the belly instead of digging under it and creating an unsightly bulge. Well-fitted trousers taper: they should be wider at the tops of the legs than at the knees, and wider at the knees than at the base of the legs. The cuff (or un-cuffed bottom) of the legs should rest directly on top of the shoe, and looks best when it is wide enough to cover between half and three-quarters of the shoe’s length. At the tops of the legs, the center seam of the trouser should be as close to the body as comfort permits, preventing the fabric from sagging. As always, move in the trousers when trying them on if the crotch sways it needs to be brought up further. If the front of the legs wrinkles and bunches as you move, the trousers are too small (seeing if you can fit your hands into the pockets easily is also always worth testing). Thanks for this Tamara. Funny how we pay less attention to those key fit details. A lot of people don’t even think it counts thanks man, since you requested I will give tips on casuals in the nearest future.